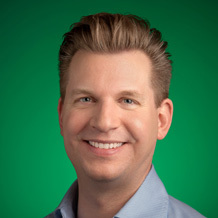 Oliver Heckmann is a vice president of engineering for Travel and Shopping, responsible for Google’s travel products including Google Flights, QPX, Google Destinations, Google Trips App, Hotel Search and Hotel Ads as well as Google's Shopping products. Before working on Travel, Oliver was based in Zürich, leading the global YouTube Creator teams. Prior to joining Google in 2006, he was leading a research team at the Multimedia Communications Lab in Darmstadt / Germany.